Demelza Hospice Care for Children, which provides specialist care and emotional support for children with terminal conditions and their loved ones in Beckenham and the surrounding areas, is celebrating its 10-year anniversary. The Demelza hospice, which is located in Eltham, offers a lifeline to children, young people and families throughout South East London, including those in Bexley, Bromley, Croydon, Greenwich, Lambeth, Lewisham and Southwark. The anniversary will be marked by a series of events at the hospice, a parliamentary reception at Westminster in March and a gala ball on the Cutty Sark in June. Lynn Baker, whose daughter Lucy sadly passed away in 2013 at the age of six, was moved to Demelza hospice in 2014. Lynn told News in Beckenham: “I will always remember Lucy’s final Christmas at Demelza when they opened up the hospice especially for her. “It was completely magical thanks to all the wonderful staff at the hospice. Demelza is reliant on the local community through fundraising and volunteering to be able to continue providing care to local children with terminal conditions and their families. 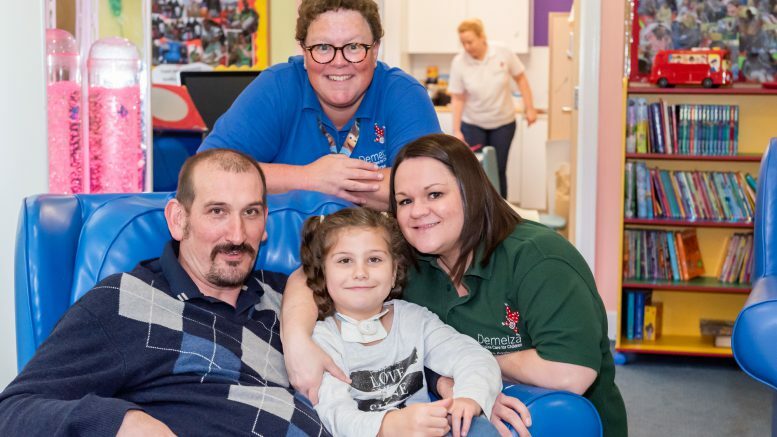 Ryan Campbell CBE, chief executive of Demelza, said: “I am so proud of the work we do at Demelza in supporting children with terminal conditions and their families. A heartfelt congratulations to all of the team at Eltham – including the care staff, the staff who keep the building running, and the volunteers who keep everything running. Be the first to comment on "Demelza Hospice Care celebrates 10-year anniversary"